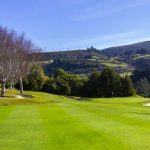 Otago golf has received a blow with the resignation of Michael Smith as Sport Otago golf development officer, a position he has held for six years. Smith (36) is taking a job as sales and technical representative with Taylormade and adidas which will involve promoting and fitting golf equipment. He has thrived as the development officer and made a marked difference for many of the senior and junior golfers in Otago. ”I have thoroughly enjoyed the last six years and I am sorry to be leaving my current position,” Smith said. 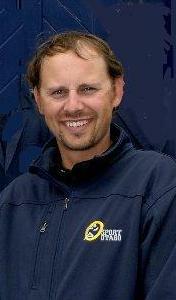 Smith has been instrumental in developing younger players such as Duncan Croudis, James Anstiss, Inia Logan, Harry Smith, Abigael Crawford and Annabel Evans. ”The player I am really proud of is James Anstiss, as he started playing golf when I started with Sport Otago and now has been Otago No 2 and on a scholarship in the United States,” he said. Smith sees further progress for Otago, as there are plenty of youngsters between the ages of 10 and 13 who are showing great promise. He will relinquish his role at the end of this week but will continue to support Otago golf as a selector of the masters (over-40) and junior teams. Smith, a talented golfer and former interprovincial representative, had a back operation two months ago and has no immediate plans to start playing competitive golf. Golf Otago executive officer Doug Harradine was full of praise for the work and progress Smith had made during his tenure. ”Junior membership has been in free-fall throughout New Zealand but Otago now bucks the trend … with growing numbers,” Harradine said. ”He [Smith] established the senior order of merit and lifted the profile of the junior order of merit during recent years. Sport Otago chief executive John Brimble also praised Smith for his knowledge, credibility and insight into the game of golf. ”During the last six years he has been dedicated and encouraging in his endeavour to bring a structure and framework to Otago golf,” Brimble said. ”He actively sourced extra funding to support the development of his plans for junior golf. Applications for Smith’s position closed on Wednesday and there has been plenty of interest. In conjunction with Golf Otago, Sport Otago is involved in the process to find a suitable replacement in the golf development role.